Marathon Key Monroe County Local Hotel and Motels. Local Hotel & Motel Information for overflow guest or friends that want to visit. The Hyatt Place Marathon/Florida Keys is situated gulfside at the site of the historic Faro Blanco Lighthouse and nearby famous Seven Mile Bridge. Complimented by a state of the art full-service 72 slip marina and yacht club. The three level hotel with 125 guestrooms is just steps away from the Gulf of Mexico. Abundant outdoor event lawns, meeting space and waterside pool awaits our guests. Treat yourself to a refreshing hotel stay at the Courtyard Marathon Florida Keys. With a prime bayfront location and excellent amenities, we provide the perfect setting for business travel and relaxed vacations. Large, stylishly designed accommodations include free Wi-Fi access, deluxe bedding, microwaves and mini-refrigerators; reserve one of our spacious suites to enjoy perks including a private balcony with bay views. Maintain your workout routine while you`re in Marathon at our modern fitness center, or take a dip in the outdoor infinity pool. Fuel up for a busy day with breakfast at The Bistro, or join us at the restaurant later for dinner and a drink. Plan an event in our on-site meeting venue; we also offer 13,000 square feet of outdoor space for elegant receptions. And with the Florida Keys` sparkling beaches and wide variety of activities just outside your door, you`ll have plenty to keep you busy during your hotel stay. We`re looking forward to your visit at the Courtyard Marathon Florida Keys. Experience Marathon from Hotel`s Waterfront Property A fun-filled tropical vacation awaits you in the Middle Keys at the Holiday Inn Express & Suites Marathon. 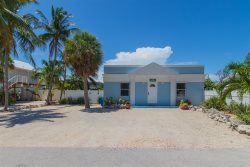 This pet friendly hotel`s location in the Florida Keys puts anglers by the calm Florida Bay, couples near sunsets at Calusa Beach and families within reach of Dolphin Research Center. About an hour from Key West and spread across Vaca, Fat Deer and Grassy Key, Marathon is teeming with underwater adventures. Don your swimsuit to snorkel over the gorgeous coral reef, swim with dolphins and dive among shipwrecks. If you`d rather keep your feet on dry land, then take a picnic to Bahia Honda Bridge, tour Crane Point Museum or join the anglers on the Old Seven-Mile Bridge.